At EHG we are experts in Home Staging – our super talented team have a keen eye for detail and a wealth of experience transforming homes across London, we understand that the right blend of style, texture and focus is key to transforming your home giving it maximum appeal and ready for potential buyers to view. 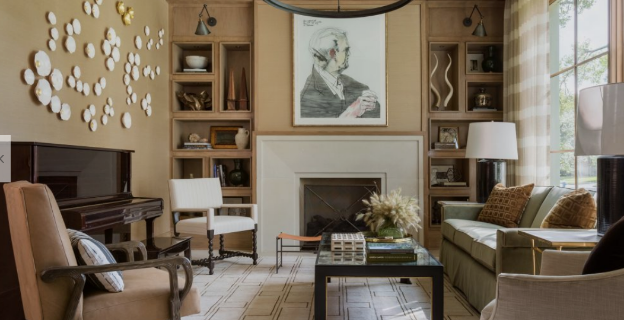 When it comes to dressing your property to place on the market for sale in London, you could be forgiven for believing that engaging an Interior Designer to style your home is the best, or only option available. When it comes to achieving the maximum sale price and inspiring potential buyers, your property will benefit much more from the expert touch of specialist Home Staging Services like EHG, who focus on creating the aesthetic and appeal needed to make your property stand out from the crowd, engage buyers and achieve its maximum sale price and quickly – sounds rather good doesn’t it! Home staging uses an expert Home Stylist to prepare a private residence for sale, its core goal is to make a home appeal to the highest number of potential buyers, resulting in a swifter sale. What is the difference between home staging and interior design? Whilst both Home Staging and Interior Design are part of the Home Design family, there is a key distinction between the two in terms of the purpose of the design. An Interior Designer will work with you to create a design for you and your family to live in, focusing on the practical needs of your family, to create a beautiful homely space, whereas Home Staging focuses solely on preparing a property for a sale, showcasing it to its greatest effect in order to achieve its maximum value. The focus is on showing a potential buyer what the space could be, rather than creating a design for you to live in longer term. A Home Staging expert like EHG will work closely with your estate agent to get a comprehensive understanding of the property market and researched similar properties to your home, the surrounding area and the psycho-graphics of target buyers for your property. This information is key when dressing your property for sale. Whilst an interior designer will work closely with you to understand your needs and lifestyle, a home staging expert will be interested in the target buyer’s desires and aspirations. For example, are they looking for a home with a spacious lounge and kitchen area? If so, how can your property be best dressed to appeal to this aspiration? Our above approach has meant we’ve been successfully transforming homes since 2006 firstly as developers, then design and build contractors and now property management and home staging creating memorable first impressions that convert potential buyers into new homeowners – we did mention we were experts in our field didn’t we!! Interior Designers quite rightly take time to get to know you, your lifestyle and tastes to create with you the ideal design for your home that is both functional and aesthetically pleasing. This can take months as the right pieces of furniture and accessories are sourced and made to create the perfect look for your home. This is in contrast to a Home Styling team, who have a few days/weeks to deliver (yes - we try to install quickly, efficiently AND with flair!). An expert Home Staging stylist like EHG will create beautiful but functional spaces and use their available stock to help dress your home strategically to whatever extent necessary, even working with your own furniture if possible and/or storing away some family heirlooms to de-personalise a space for the discerning buyer. We have a wealth of experience working in both homes that are empty, and homes that are still being lived in during the sale. If selling an unfurnished property, our Home Stylists can choose key items from our carefully curated collection of internationally sourced furniture and accessories to place in rooms to lead potential buyer’s thoughts towards their ideal home. Each home staging is unique - we work to maximise the selling points of your home so we respond to each property individually. Focus – when a potential buyer walks into your home, every room should have a focal point, in keeping with the aspirations of the buyer you are trying to attract. For example, a buyer looking for a kitchen suitable for entertaining should walk in and feel like the kitchen has the space and potential for cooking for groups. This might mean adding specific accessories or a clean, crisp pan set to seed those ideas during a viewing. Clutter – we make our house a home, with trinkets and memories we collect over the years but for those potential buyers visiting, this may be an unwanted distraction. A Home Staging specialist like EHG has a keen eye for removing clutter that could distract, and instead create an aesthetic that allows a potential buyer to see how they could make their own memories in the house. Broken items – we often learn to live with slight blemishes in our home, whether it is a crack in the paintwork, scuffs on the walls or stains on the carpet. Our HOME concierge team will address these imperfections, so your buyer is left to focus solely on what really matters – their beautiful potential new home! When it comes to choosing between Home Staging and Interior Design for your home, the key is choosing the right professional for the job at hand. When you have sold your home and move into your new property, an Interior Designer is the perfect choice to help you create a new homely space that you can enjoy for years to come. We take a lot of inspiration from Interior designers (Marie Flanigan is the favourite at the moment ;-) and have lots of interior designers as clients too! However, when you are selling your home, you need to choose a Home Staging team, like EHG, who can prepare your property for sale at its maximum value, appealing to your potential buyers with an aesthetic that offers space for them to envisage their future in your property. So, if you are a homeowner or property developer and want your property to stand out from crowd – you know who we are and where to find us! Contact us to connect with a London Home Staging specialists and expert Home Stylists, at EHG Home Ltd.